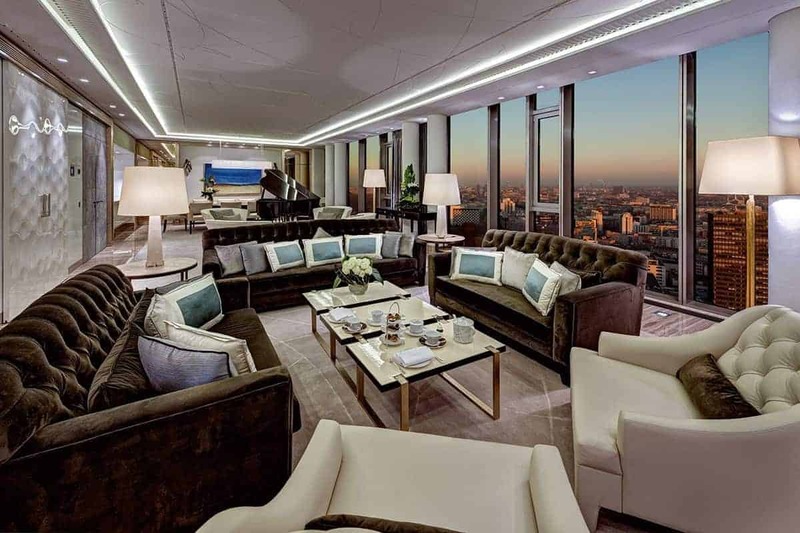 I’d expect you to be sceptical, however within this post I hope to not only give you a glimpse of how the other half live but also how you can have a free weekend away in one of Hilton’s most exclusive European hotels including British Airways flights and airport lounge access. For those of you that are new to my blog, I use various travel hacks to travel the world for limited (if any) money. Within this post you’ll hopefully learn the wonders of credit card sign-up bonuses and how these can be used for your European getaway. First thing to secure were the flights, and to be honest with you this was easy. I’ve recently written an article on the free American Express Preferred Rewards Gold Card and the various benefits – click here to read about all the benefits. To summarise, when you sign up to the charge card and spend £2,000 within the first 3 months you’ll receive 20,000 air miles (22,000 if I refer you using this link). To give you an idea as to how far you can travel with these, a return off-peak ticket from London to Geneva would use 8,000 air miles or alternatively 13,000 air miles for an off-peak return to Rome from London Heathrow (the option my better half and I recently took). Alongside air miles the Amex Gold Card offers a number of other benefits, most importantly free lounge access for two. My girlfriend Hannah hadn’t signed up to the Amex Gold Card (click the link to see my full post on the Amex Gold card) in the last 24 months so she kindly agreed to sign up (being referred by me of course to get an additional 2,000 air miles) and within the first 3 months we both worked together to reach the spending threshold of £2,000 to receive the 22,000 air miles. 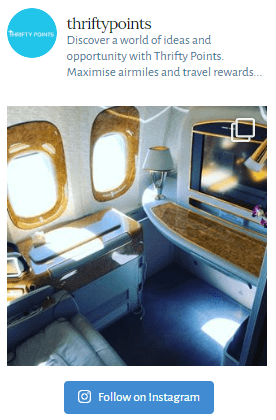 For every pound spent on the Amex Gold card you’ll receive a further air mile. As such, once we hit the payment threshold we had a total of 24,000 air miles. As we had our hearts set on Rome (and I’ll explain the reason behind this later within this post) we knew we had to obtain 26,000 air miles for the two return flights, so spent an extra £2,000 on the card over the next month or so. Once we had the flights sorted, the next task was to obtain a free night’s stay in an uber luxury European hotel. 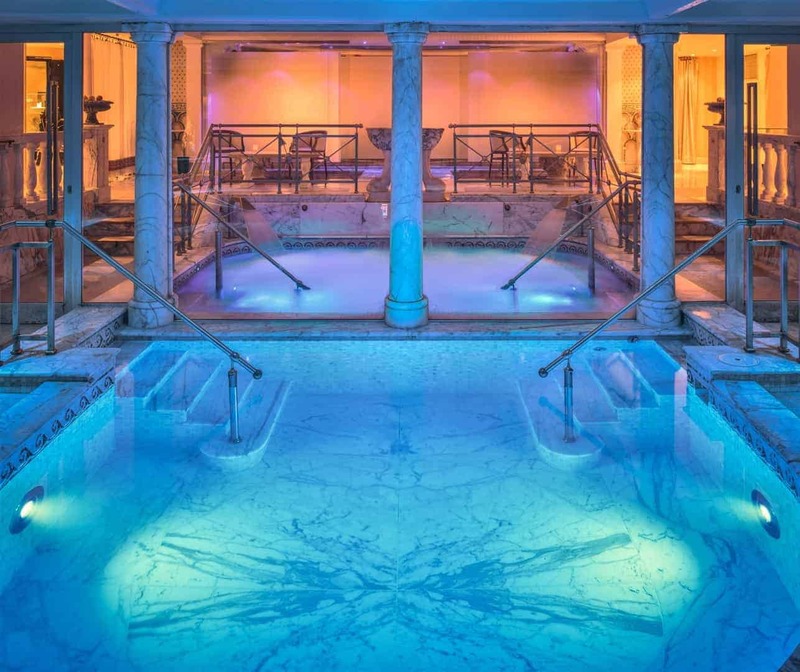 Hilton have made this an easy task with their Hilton Honors UK Platinum Visa credit card (click here for my full review) which offers a free night’s stay in ANY Hilton hotel, including their luxury Conrad and Waldorf Astoria brands. 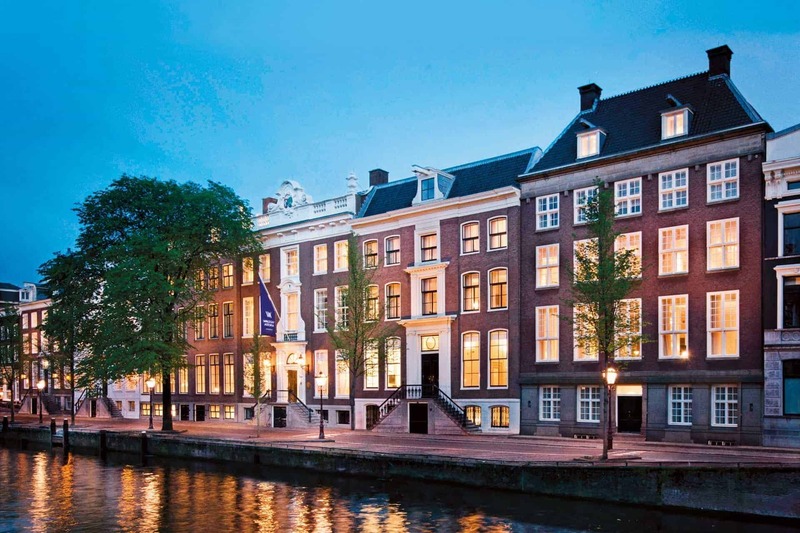 Waldorf Astoria is arguably a step up from Conrad and offers hotels in London, Edinburgh, Berlin, Amsterdam and Rome. We both agreed that the lure of Rome and some end of summer sun was most attractive and quickly set our hearts on the Italian capital. Again, Hannah kindly signed up to the Hilton Honors Visa card and we both worked together to reach the £750 spending threshold in the first 3 months. A trick not to be missed is to sign up through topcashback to receive a further £21 in cashback – (note, if you use this link you’ll also get a further £5 for signing up). Once we’d hit both spending thresholds we quickly booked our flights and before we knew it we were setting off on our free holiday to Rome. We decided that to make the most of our time we’d aim for an early Friday morning flight from Heathrow. 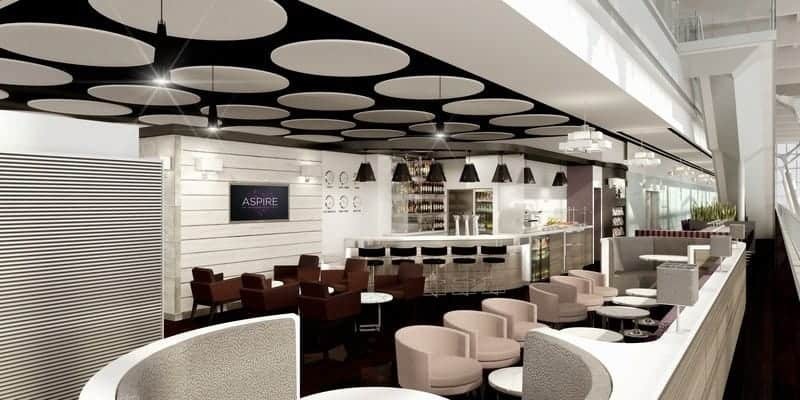 We of course made full use of our two free lounge passes, visiting the Aspire Lounge and Spa (full review to follow shortly) for some breakfast and a glass (or two) of bubbly to start the holiday off. We arrived into Rome’s Fiumicino Airport at around 10.30am, and having historically had a rather terrifying taxi ride into central Rome, we decided to opt for a coach which if you book ahead costs €9 return per person. The coach dropped us at Rome’s main train station in the heart of the city centre. Armed with Rome’s best guide book we spent the day exploring some of the many historic monuments, stopping for a picnic in Villa Borghese Park. The hotel offers a complimentary shuttle bus from the top (west) of Piazza Barberini square which goes every hour on the hour (do just double check with the hotel before you go). 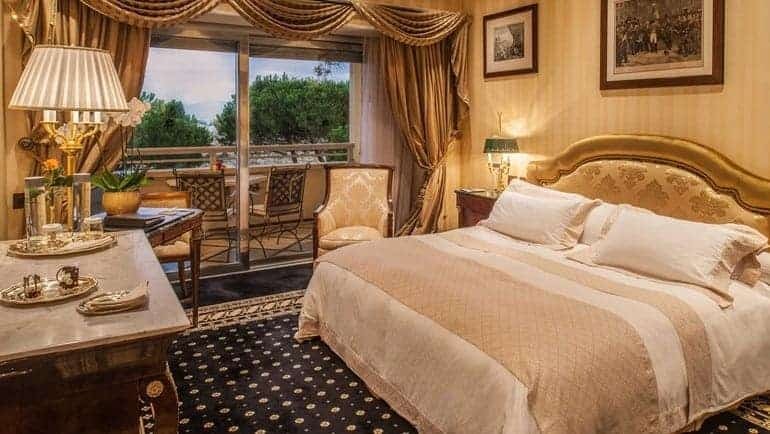 As the hotel is situated on the outskirts of the city centre, up a hill overlooking Rome, we’d strongly recommend either getting a quick taxi or the shuttle bus. Arriving at the hotel, it was hard not to notice the 50 or so chauffeur-driven cars parked outside. Little did we know that we were staying during the weekend of the Italian Celebrity Fight Night (a week-long event costing €70,000 per person) and as such the hotel was filled to the brim with numerous celebrities including the likes of Elton John. The first thing that hits you when you enter the hotel is the opulence of the interior and the museum-quality paintings hanging from the walls. 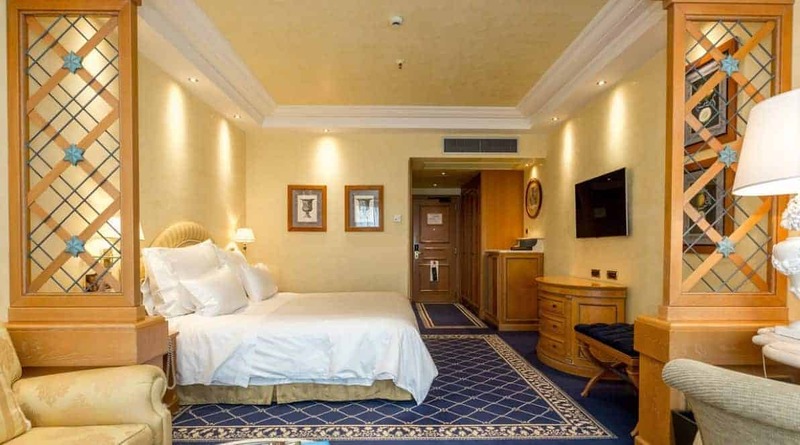 We were quickly checked into our Deluxe King bedroom and made our way up to find an expansive 50 sq m room, again with traditional, pampered lavishness. The hotel is home to Rome’s only 3-Michelin-star restaurant, situated within a rooftop position and run by Heinz Beck. As you’d most probably expect it’s bracingly expensive (minimum €200 per head with wine) and needs to be booked months in advance. The hotel offers three other dining options including a summer poolside restaurant, the Chalet Grill. Whilst we were keen to try the hotel’s offerings we opted for a more traditional Italian experience, stumbling upon an extraordinary restaurant 5 minutes walk away. Situated on a back street close to the hotel, Al 384 offered a delightful outdoor dining experience. We arrived just before 8pm and the restaurant quickly filled up (I’d definitely recommend booking a table prior to going). We were quickly presented with complimentary Prosecco and appetisers. We chose to share one of the fried starters, a mixture of fried duck, olives, mozzarella, potato croquettes, pumpkin flower and onion rings, complemented with a bottle of the house red. We saw a number of the other dishes being taken to tables around us and decided that we had to try both a pasta dish and pizza. Both the starter and main courses were great and exactly what we’d hoped for. Including a couple of coffees, the bill came to just over €60 euros (a steal in comparison to the hotel’s Heinz Beck restaurant!). The next day we made the most of the hotel’s outdoor pool and various spa facilities. After a reasonably long session of sightseeing the day before and a few glasses of Prosecco and red wine the night before, this was much needed. The hotel has a large outdoor pool and accompanying indoor pool. The hotel’s leisure club provides an extensive gym, large Jacuzzi, steam room with a freezing-cold plunge pool and male/female saunas. At the end of the day we made our way back into central Rome on the shuttle bus, stopping for some dinner before heading to the airport and our flight back to a not so sunny London Heathrow. 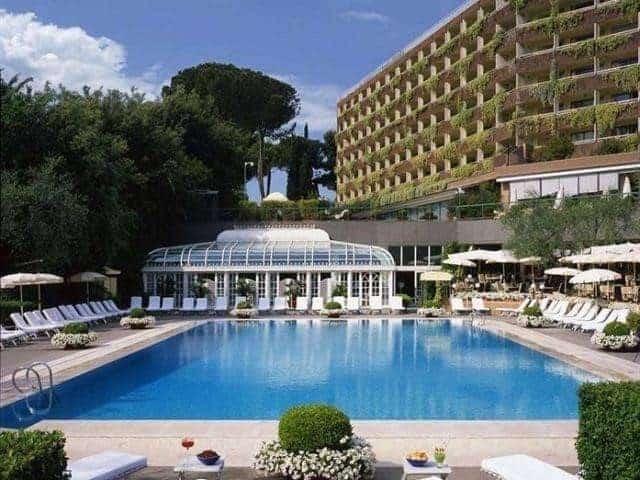 All in all we’d strongly recommend the Rome Cavalieri Waldorf Astoria Hotel for your Hilton Honor UK Platinum Visa credit card free night’s stay (sign up through topcashback here for a further £26 spending money) as well as making use of the Amex Gold Card sign-up bonuses to get free flights and lounge access. So just a quick summary as to how you, too, could claim your free holiday. Sign up to the Hilton Honors card using topcashback and spend £750 in the first 3 months to claim your free night’s stay at any Hilton hotel. With a possible redemption value of £400 I suspect Hilton won’t be offering this for much longer. Secondly sign up to the American Express Gold Card. Don’t forget to use this link to increase the sign-up bonus from 20,000 to 22,000 points. As always, I hope you’ve found this review useful and you, too, are able to obtain a free weekend away for two. Please send me an email if you have any questions or would like any further assistance. Please do share this post if you think any of your friends would be interested in joining you on your weekend away!